The cloud, the cloud, the cloud. It is everywhere. You use the cloud every day, and so does your family, your clients, and your friends. Netflix and YouTube are just two examples of the cloud reaching into our homes. Insurance firms also need the cloud to continue to grow. Clients are looking for applications and services that are easy to use and even easier to use. The insurance industry is looking at ways to optimize the insurance experience by initiating a one time stop and go concept. Clients should be able to access an insurance firm’s website, buy a policy and not have to worry about talking to agents, or waiting weeks or even days for approvals. The cloud has too many advantages to not use it. If you are looking to upgrade your company, or you have decided to improve its infrastructure, then a cloud service provider is your first step to achieving this goal. There will be lots of questions when you contact a provider, and you will have the opportunity to learn more about how the cloud can help your insurance firm. Keep in mind that a lot of the information a cloud provider gives you may not be important, so you need to make sure you ask the right questions. When cloud providers fill your head with technical jargon, they are not trying to be misleading, but unless you are a techie yourself, then the tech aspects do not really matter. In most cases, the location of the cloud data centers does not matter. A good cloud service provider will already know the laws governing data for insurance companies. If the provider does not know about the details when dealing with client data for insurance companies, then you probably want to avoid them. Data cannot leave the United States, that is a given. Some states may require data to be stored within the state boundaries. Currently, there are no states that have this restriction, so nothing to worry about. You can ask the provider where their data centers are located if you are curious, but realistically it does not matter. It does not take a measurable amount of time difference for your data to arrive or get backed up regardless of where it is located. This may seem like a bit of a marketing ploy, but you should stay within your budget and not worry about purchasing the extras if they are not needed. The cloud industry is a “you get what you pay for” business. 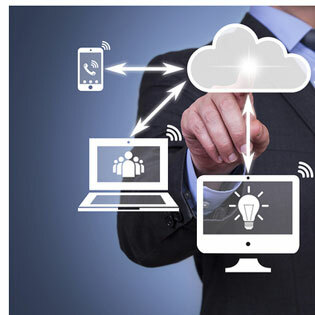 If you contact cloud provider Company A and they offer everything you need, but Company B offers more for a little more money, then decide if what Company B has to offer is a necessity. If it’s not, then go with Company A. If two companies offer the same thing, but one is stating that they have better equipment and they start spouting off all these technologies you do not understand, then avoid them. Again, if they cannot explain to you what they are saying in simple terms, then go to someone else. The key aspect of talking with a cloud service provider is that they need to know the insurance industry. Do not pay for services you do not understand. It makes no sense to pay money for something if you don’t know what it is, and if they cannot explain it to you, then they are not doing their jobs properly.